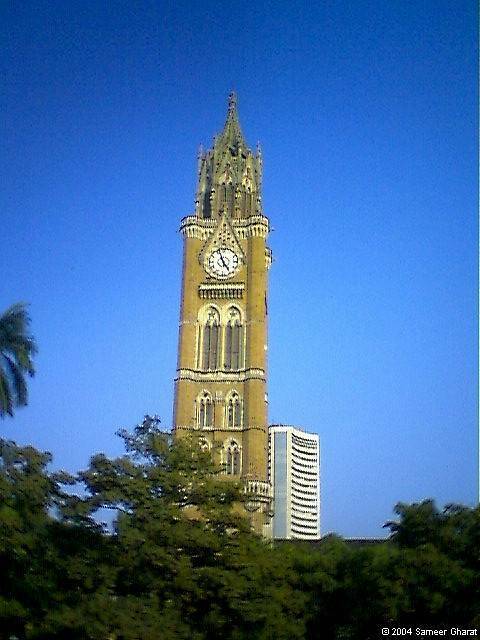 Standing with an altitude of 280 feet, Rajabai Clock Tower is located within the campus of Mumbai University. Dating back to 18th century, the tower was built on the inspiration of Elizabeth Tower in United Kingdom by a British architect. The Clock Tower has a structure which is a perfect blend of Venetian and Gothic style of architecture. Stained glass windows are best of class. Colored Kurla stones were used for constructions. There were tunes used for chimes in British rule, whereas currently only one tune is used to chime every 15 minutes. The Tower was named after the mother of the person called Premchand Roychand, who provided the entire fund to build up the clock tower.